Boarding school; the place that provides students with accommodation, food, educational and recreational facilities. If you want the overall development of your child, Boarding School might be a right choice. Choosing a boarding school may mean having a complete package of academics, athletics, character building and extracurricular activities for your child. Moreover, in Boarding Schools, students get the opportunities to learn to manage in a new and different kind of environment at the early age. 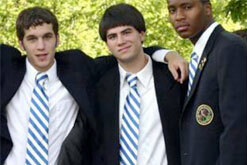 Some of the top Boarding Schools are found in United States. Boarding school is a community in itself where students interact with other members, belonging to different parts and culture. Living together leads to friendship. They learn the valuable lessons on unity in diversity. Nearly all Faculties in Boarding Schools are highly qualified, having advanced degrees in Education or other specialty. They have good command on their subjects. Generally they have rich experience in art of teaching. Thus in such schools, pupils get quality education. Children get advantage of learning in small classes where the size of classes is approx 12 students per teacher. Therefore each student gets equal attention and encouraged to participate in each classroom activity. In small size classes, students can interact with their teachers without any hesitation. Learning is one of the chief objectives of Boarding schools. Due to the residential campus environment, Learning is not limited merely to classrooms. Students have faculties available to them round the clock. The faculties play various roles in different settings as: the role of teachers in the class rooms, advisors in extracurricular activities, coaches in athletic fields, dorm supervisors in dormitory and so on. Therefore education has a wide meaning in such kind of learning environment. Pupils get good opportunities for their personal, social, cultural and overall development. Living away from home, students need to look after themselves. Though they get great support from faculties and friends, yet they need to take responsibility of their own actions. Students themselves are supposed to decide, how to take opportunities, how to make balance between work and other activities and so on. They learn time management which is valuable in their life long journey. In this way Boarding schools develop the sense of responsibility and independence in the students. Character Building is one of the key features of Boarding Schools. Living among the faculties and away from family, cultivates discipline in the students. Meeting with new people, adjusting with them, exploring unknown in a new community, learning different skills and subjects are some challenges of these institutions. With each challenge, pupils learn more and their confidence increase. All these kind of learning help in their personal growth. Boarding Schools usually have rich libraries, theatre, good athletic and other facilities that help the pupils in many ways. Some Boarding Schools offer summer programs that mainly focus on academic, fine arts and sports training. Special help programs are also available in some Boarding Schools for troubled boys and girls. Boarding schools motivate pupils to use their full potential. Therefore they often get success in all walks of life. Graduates from Boarding Schools are often placed in finest universities. Moreover, they grow swiftly in their professional careers. In addition to some of the benefits given above, it can also be a lot of fun to enroll in Boarding school. It may be a unique experience. Usually some of your dorm mates become your dearest companions with the passage of time. The friendship, you develop, and the time that you spend in this environment, is generally unforgettable. Boarding Schools provide a unique learning environment that develops moral values including love, honesty, trust, cooperation and many more between children and adults.